Novibet is a bookmaker that offers competitive odds on several thousand sporting events each day. Over the years, the bookmaker has created a solid reputation for itself and an ever-growing user base, thanks to the secure and safe online betting environment it offers. Novibet is completely licensed and regulated via the UK Gambling Commission. It is also approved by several online gambling authorities. The site is available via desktop, tablet and mobile platforms where you may access its sportsbook markets and several unmissable promotions and offers. In this Novibet overview write-up, we’ll look at the important things that you must consider in case you go ahead and register with the bookmaker. Having launched in 2010, Novibet strives to be the complete online betting platform for its clients and, as a result, is one of the best bookmakers. Though it has its roots or main offices in Greece, Novibet has expanded its operations successfully to other countries in Europe and the United Kingdom. 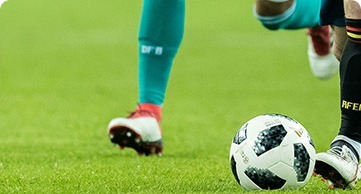 The company is registered with IBAS (Independent Betting Adjudication Service), which is a third-party firm that independently adjudicates disputes between bookmakers and their customers. Novibet software is also GLI-tested. Gaming Laboratories International is recognized globally for offering a complete range of consulting and testing services to land-based and online sports betting markets. Novibet also meets all European rules and regulations regarding private data protection. Perhaps the most interesting betting fact about Novibet is that besides regular sports, it offers betting on virtual sports too where all the matches are fictional. Though not completely sports, virtual sports is still related to sports. You can engage with real-time scores and watch a virtual game’s live feed. As far as the variety of sports goes, there is both virtual tennis and soccer to choose from, alongside other sports. Most people who have indulged in sportsbook betting at Novibet have generally good things to say about the platform. Though the company is fairly new, the lack of experience or major market presence doesn’t hinder the site from competing with the big dogs. If you are looking for a particular sportsbook betting service or the best betting odds, you most likely find it on Novibet. There are very few aspects that established players do better at than Novibet, which says a lot about the latter. The thing that has impressed bettors the most about Novibet is the attention to the small details. In other words, Novibet is quite snappy with its verification process, it disburses payments quickly (even on weekends), doesn’t lay strict wagering requirements on bonus money won, etc. The quick verification saves a lot of time and doesn’t leave new players waiting too long for their account approval. The money can be disbursed even on Saturdays and Sundays, which is a handy functionality most other sportsbook betting sites do not implement for some reason. The customer support department is quite robust too. In addition to offering its patrons multiple ways (telephone, live chat, email, etc.) to connect with the support team, the team is also quite active on platforms outside of Novibet. No sportsbook betting service is perfect and there is always room for improvement. Novibet is well-aware of this and constantly looks out for disappointed or aggrieved Novibet users in the web space. If you did not like something about the site and you made that publicly known on another platform, Novibet’s support team would like trace your complaint and try to resolve the situation. The only major drawback is the lack of live streaming, which is a deal-breaker for quite a few bettors. If you are used to live streaming on other platforms and rely on it for betting purposes, you should be wary of this glaring miss before registering. On the positive side, you can expect Novibet to launch Novibet live streams in the future. New Novibet sportsbook customers get up to £25 as a free matched bet. You should be a UK resident and have deposited at least £10 to avail this offer. The free bet would get credited after your initial bet is settled. There are quite a few other top betting bonuses and promotions worth mentioning too, including ACCA boost, cash out, 100% payout, bet referral, and The Match Ends at 88’. The Match Ends at 88’ promotion is ideal for people who love live betting but are extremely wary of last-minute changes. This live bet motivation offer lets you place a live bet and not worry about a goal being scored during the added period. Novibet would return losing bets that were on their way to victory until the game’s 88th minute. ACCA Price Boost, on the other hand, facilitates different bet types (starting from 3-way to beyond 14-way) and offers bonus in the 5-100% range. Novibet offers betting opportunities on pretty much all competitive sports, including football, basketball, handball, ice hockey, tennis, volleyball, golf, baseball, rugby, snooker, cricket, and cycling. You may even bet on the movie industry and politics. For instance, you could bet on who would win the awards in their respective categories in the upcoming Oscars. And if you would like to wager who would UK’s next PM be, you could do that too at Novibet. Novibet betting odds are one of the most competitive in the industry. A favourable odd is not always guaranteed, but the site is constantly striving hard to ensure it’s a step ahead of other providers. Moreover, the odds are presented in the form of key tables, which help discover odds that are buzzing and being constantly betted on. There are good odds even on niche sports, such as darts and water polo. However, they aren’t always readily available as the respective matches take place less regularly. Novibet is arguably one of the best live betting bookmakers since it offers an option to shift to live betting from traditional betting in a single swift motion, courtesy the ‘in-play’ option. By choosing this option, you would be presented with an array of matches being currently played or scheduled to start soon. Alongside Novibet live betting odds, there is an interactive infographic that lets you in on what’s happening. For instance, if you are following football, it would list out any yellow or red cards issued, who is in ball possession, and many other details. Novibet incorporates this feature instead of streaming games live. The live betting feature is less intense than live streaming, but it’s most likely to work without lags or delays, unlike live streaming. Not all sports categories or matches come with this option. To check the matches that provide this option, see if there is a pitch icon beside match listings. Novibet’s betting limits let you gauge the budget you need to play a certain sportsbook and what rewards they offer. The minimum sum Novibet lets you wager is £0.10. The maximum wins you can look forward to is £80,000. Though the number isn’t as high as other sportsbook wins, which could breach the millions, £80,000 is still a fairly decent sum to take home. As far as maximum betting limits are concerned, there isn’t one in place. Live streaming is basically offering real-time action of a sporting event. It’s a feature that bettors have come to learn and love courtesy several live streaming bookmakers. Not to mention, live streaming lets a bettor or sports lover watch live action of their favourite sports completely free. Pretty much all major betting websites offer live streaming that covers thousands of in-play events every year. Unfortunately, Novibet doesn’t offer this feature. It’s quite baffling to see a sportsbook betting site that ticks all the right boxes missing out on such an important feature. It doesn’t matter how detailed the statistics and reports are, the option to see how the teams are performing on the pitch for real cannot be substituted by anything. Novibet doesn’t offer a dedicated Novibet betting app. However, to make your betting experience smooth and convenient on your mobile device, the site offers a mobile version of its regular site that functions like conventional betting apps. Head to the site by typing its web address in the URL of your mobile web browser. Once done, scroll down to the footer of the site where you would find the ‘mobile’ link. Click that link and see the site optimizing itself to perfectly fit the screen of your device. This optimization would work with mobile devices of varying screen sizes and tablet computers. If you choose to visit the desktop site on your device, you may do that too. This way, you can seamlessly switch between both the desktop and mobile version of the site. Bookmakers deposit methods and sportsbook deals go hand in hand and having options galore is always handy. The Novibet payment methods aren’t more diverse than its competition, but efforts are put in to ensure things work out smoothly. For example, Novibet lets you cash out even on weekends or during non-business days. This applies to the different payment options and various other currencies allowed. This means PayPal, Visa, Paysafecard, and Skrill would process fund withdrawal requests even on non-working days. Also, there are zero monthly withdrawal limits, which means you need not wait to withdraw your winnings before it hits a specific minimum threshold. This is something not a lot of established online bookmakers offer. How would you rate Novibet?